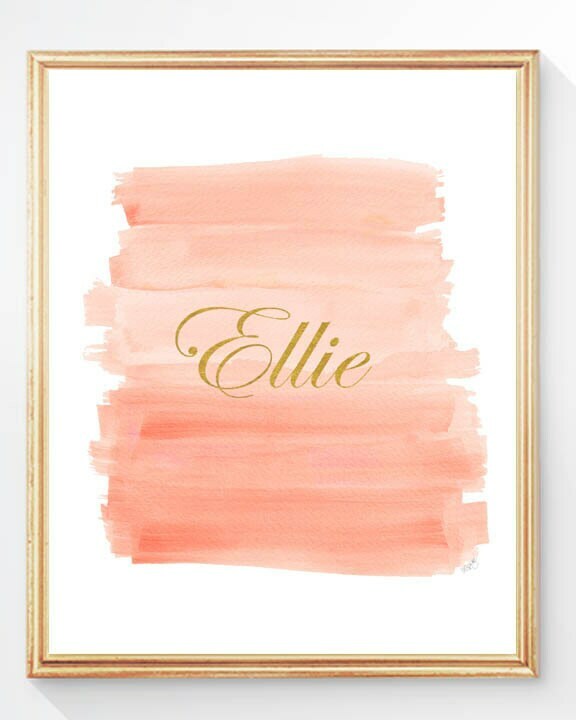 Personalize my coral ombre watercolor print with your special name in faux gold lettering. Created from my original watercolor paintings.Please note the name you would like in the 'notes to seller' section at checkout. Fits perfectly in an 8"x10" frame. 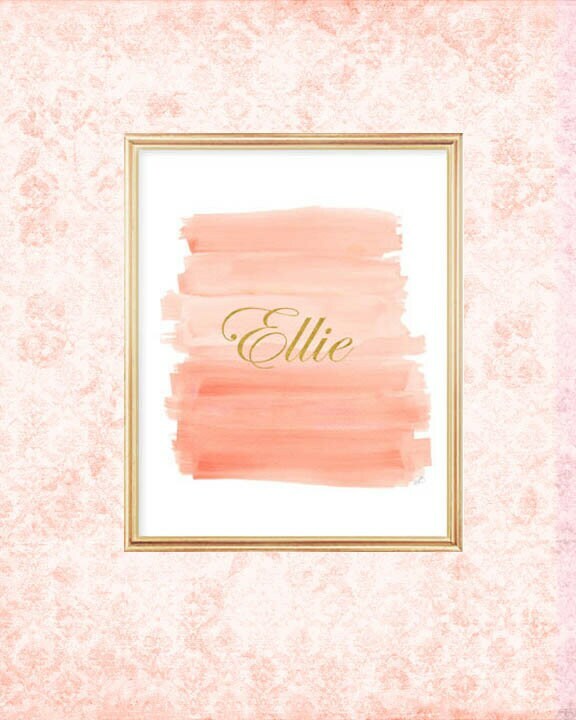 Simple but easy decor to add to my daughter’s nursery. Beautifully done.